Check Target's ad in this week's Sunday paper for a coupon good for 50% off any Star Wars toy (not including Lego). The deal is also good on-line. Use code TGTJ7WZ5 at checkout to save 50% on-line. 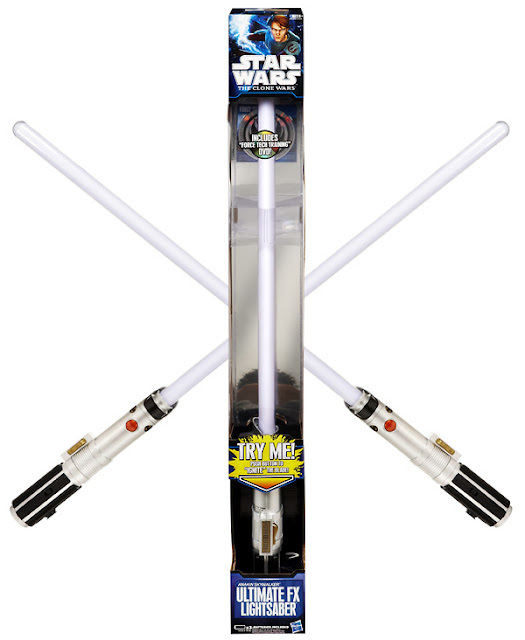 Save an additional $5.00 off the Ultimate FX Lightsabers with code TGT464JS. You can also print out the coupon for use in store from Target's coupon website.